SAMS Odisha +2 2nd Phase e-Admission 2019: SAMS Odisha will conduct +2 Second Phase e-Admission 2019 for vacant seats for admission into Higher Secondary Schools (Junior Colleges) shall be made online mode at official website samsodisha.gov.in. SAMS Odisha released a notification to fill up vacant seats of +2 Junior Government or Private Colleges in Odisha. The students can apply this +2 2nd Phase admission process only online mode at official website samsodisha.gov.in from August 2019 by submitting Fresh Common Application Form (CAF). 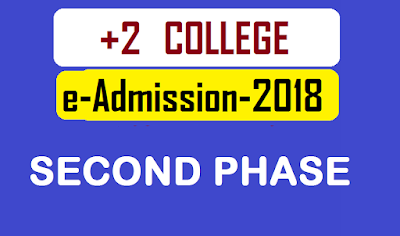 In this Second Phase e-Admission 2019 process only for those students who cannot take admission into +2 Junior Colleges of Odisha while the First phase +2 e-Admission 2019 process. Only two type categories students can apply +2 Second phase e-admission 2019. First, those students having passed the supplementary Exam of BSE, Odisha or equivalent Board and Second those students who have not taken admission in +2 first admission for various reasons.